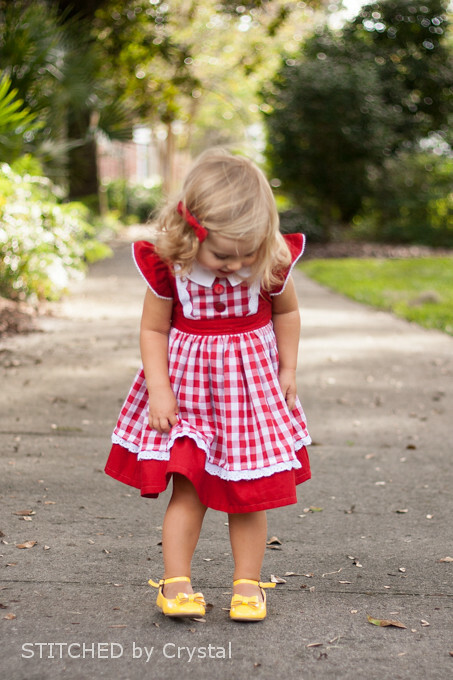 I have a new fabric obsession, gingham! 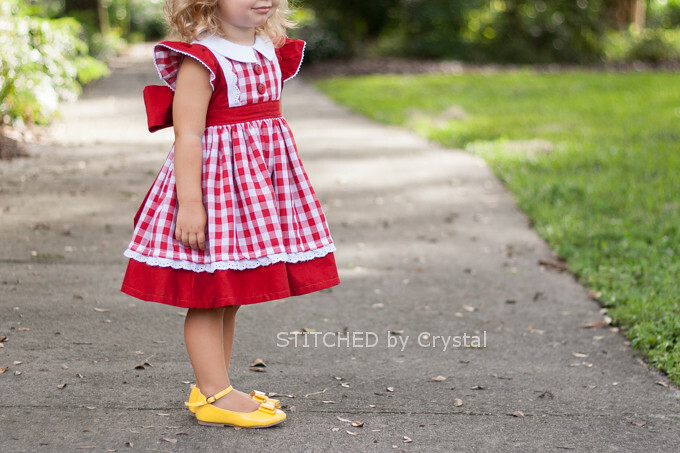 This is the third dress I have made this month with gingham fabric, I just can't get enough of it! 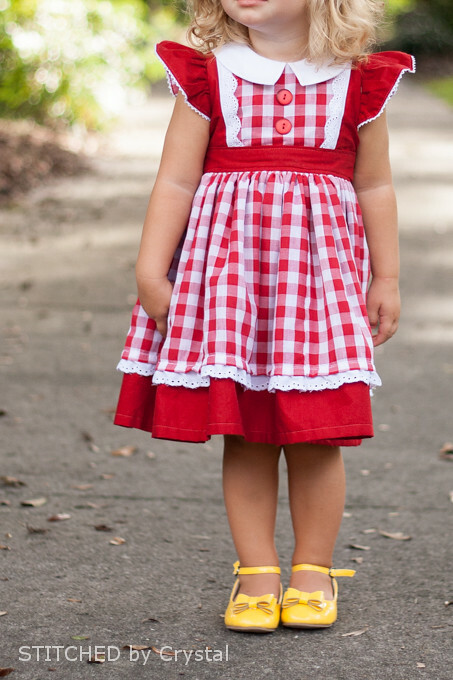 When The Cottage Mama announced a sewing competition, I just knew I had to make the Georgia Vintage Dress in a classic red gingham print. 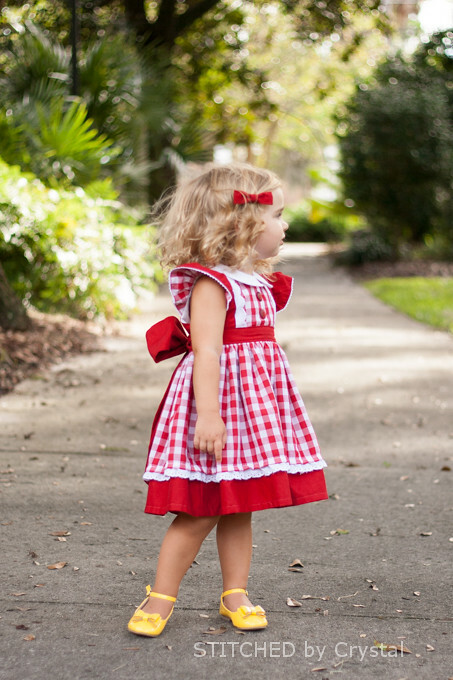 I made a Georgia Vintage Dress for Em over a year ago and it is still one of my favorite dresses I have ever made her. So, I don't know why I waited a whole year to make a second one, but I fell in love with this dress pattern all over again this time! 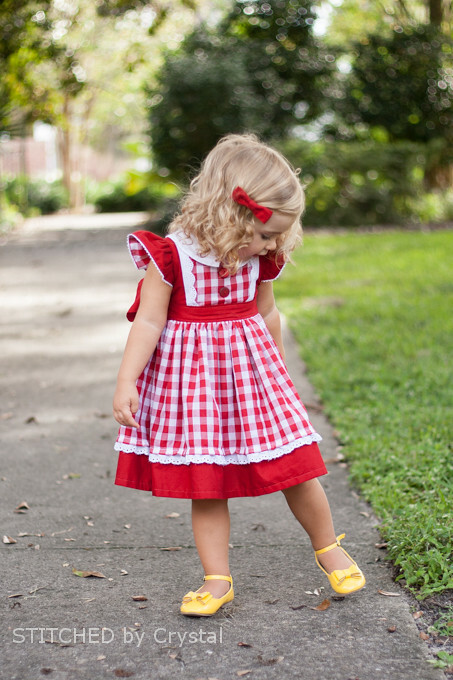 I love this classic look, so sweet and girly. 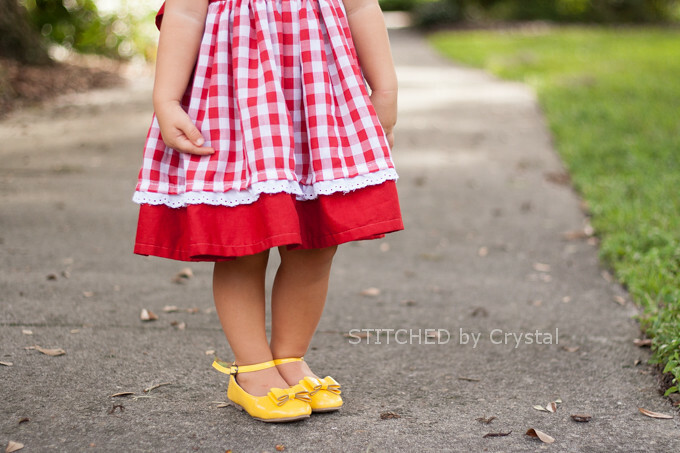 I paired my red gingham with some red kona cotton and some eyelet lace. My original plan was to have the eyelet lace on the outside of the front bib, but it was a bit too big and I didn't want it to get caught up in the sleeve seams. So instead, I flipped it in over the top of the bib, I love it even more that way! I lined the sleeves with gingham and added some small crochet trim to the edge. I added some eyelet lace around the bottom of the overskirt too. I really like the two layer skirt, it adds a little extra volume. 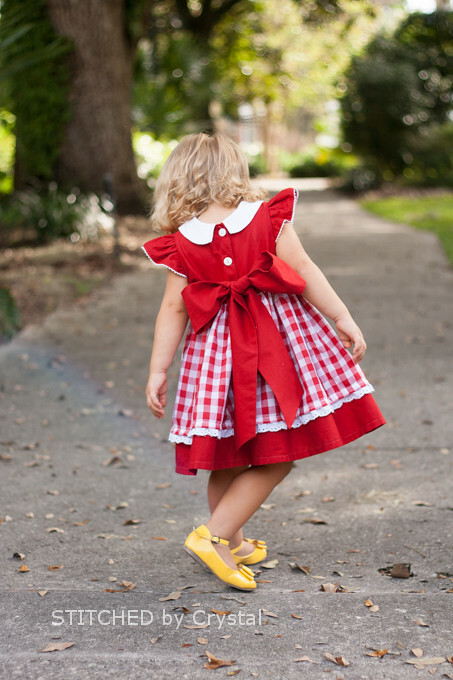 The dress closes in the back with three white buttons and ties with a big bow. The Cottage Mama's sewing contest has some really great prizes to win. Entries are due by September 12 at midnight, so sew something up quick and add it to the mix! Even if you don't have time to sew something up, you should swing by and see all of the really beautiful dresses (and rompers and PJs) being sewn up! 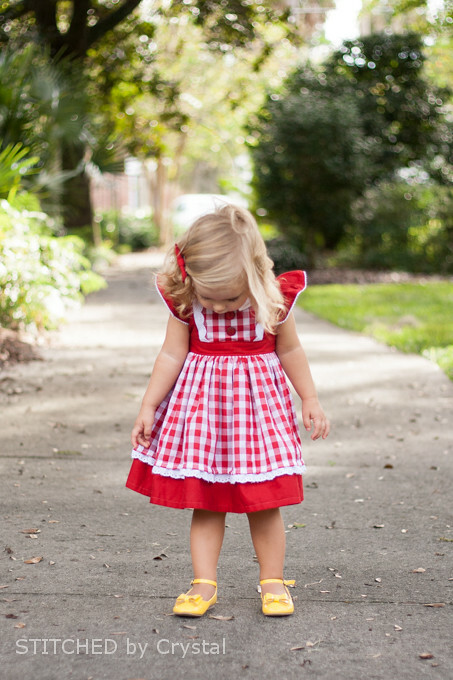 My little Em would love those shoes! Do you mind sharing the brand? Oh I like the way you choose the fabrics combinations; always pritty en beautiful stitched. Your work is always so clean and net ! Love it, love it ! this is adorable!! 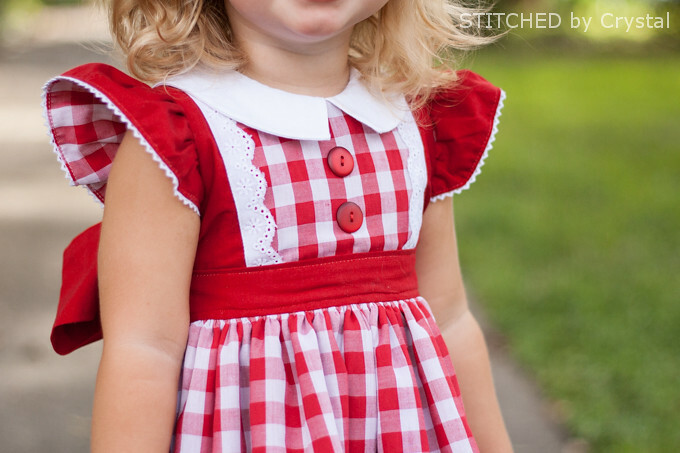 It has been too long since i have made a dress for my girls but this makes me want to sew one right now! 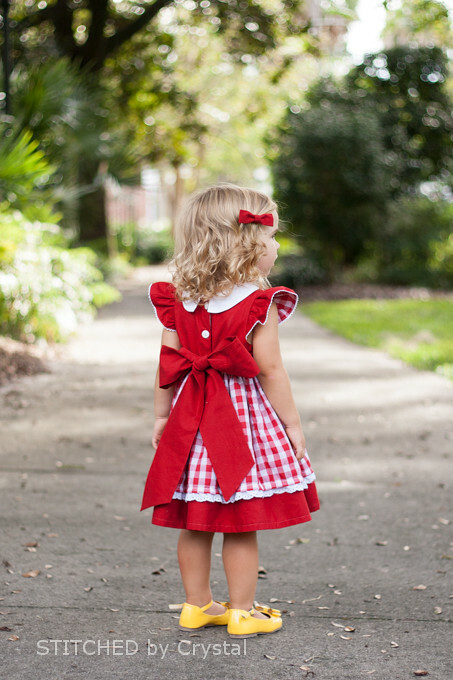 I love this dress for my daughter! Would you be willing to make it for me? Wow this frock is so cute and lovely.. Just loved it.. It really suites the little baby.. So cute I can't take eyes from her.. touchwood. 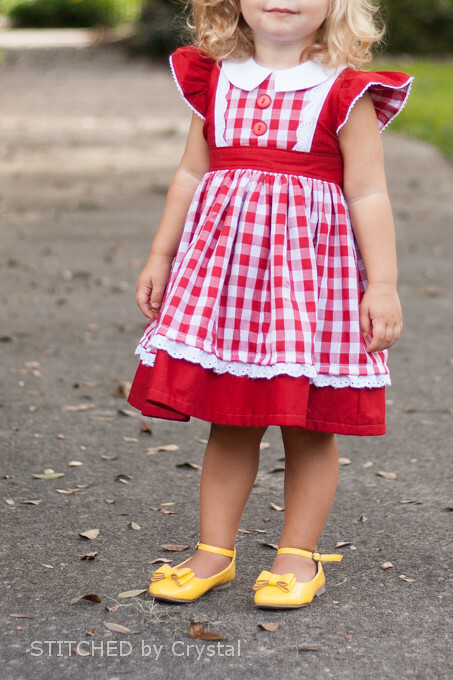 i would love to know where you found this gingham and what size it is. I can't find it that big in my area and absolutely love it.